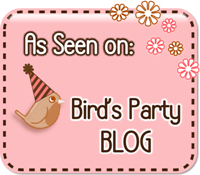 Homespun With Love: Pink and Purple Birthday Party! Pink and Purple Birthday Party! That is what this little party was made of! This birthday party was in honor of our niece, Caroline, who recently turned 8 years old! We had the privilege of styling her party for her! She requested a pink and purple, with some flowers theme. And we had to deliver! We have quite a few pictures to show you, so get ready! The Party table held some yummy treats! We made vanilla cupcakes with vanilla cream cheese frosting! We had to make the cupcakes special, so we used our monogram cupcake toppers! We had three large treat jars. They were filled with pink strawberry wafer cookies, pink bubble gum balls and pink and purple swirl lollipops with our special monogram label! We made treat cups and filled them with pink chocolate marshmallow cookies, pretty saltwater taffy and tasty marshmallows! We used our bottle wraps to wrap water bottles and recycled glass bottles. We also made straw slips for the straws using our party circles! At each place setting we placed a napkin wrapped in our bottle wrap as a napkin ring! For the birthday girl Caroline's place setting, we made a place mat out of pink card stock and embellished it with ruffled crepe paper. Used our Cricut machine and cut out a silhouette of a girl and embellished it.We made a very special cupcake stand to hold Caroline's birthday cupcake on out of a plastic martini glass! Every birthday girl needs a party hat! We found ours at the Dollar Store and embellished it with flowers,ribbons and monogram party circle! We brought flowers onto the table by using a roll of Dollar Store gift wrap paper that matched our theme perfectly as a table runner.We cut out flowers with the Cricut and made bouquets for our milk glass vases. We placed a special birthday present at the birthday girls seat! She was happily surprised to find a pretty pink gumball necklace waiting inside! One of our favorite blogs and party girls inspired us to do the necklace and you can see it done here first. We set up a girly vanity table for the birthday girl! This was used for play and as a photo prop! That is Caroline their in the magic mirror! For party favors the girls took home treats from the party table and these adorable pink strawberry scented ice cream bar bubbles we found at the Dollar Store! We attached our" thank you for coming" tag to each ice cream bar bubble. So there it is! The girls had a wonderful time. They were treated to a trip to BuildABear Workshop prior to coming back home. While the girls were away, the party fairies were busy doing their magic! Caroline was surprised to see her pink and purple party upon her return! We hope we have inspired you in some small way! Wow, this is so sweet! beautifully done!!! Very cute! I love pink and purple and it all came together beautifully! I see some of my favorite things - cupcake toppers with her monogram and the paper flower bouquets in the vases! It's the little details that make a party so fun! I bet she had a blast! 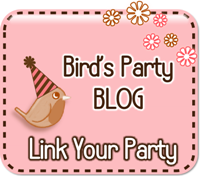 This is my first time to your blog and I came over from the Whipperberry linky party :) I'll be checking back again! As the mother of 3 little girls, I can tell you for sure: that party setup is awesome! My girls would be in heaven with such a pretty party. Thanks for sharing! Oh wow what a cute party. So many pretty yummy treats. Aren't little girl parties the best. So sweet! It is all so cute!! 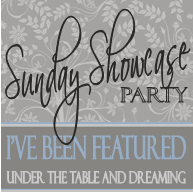 I am visiting from The Girl Creative and I am your newest follower! So beautiful! Lucky little girl to have such a pretty party. My mother just put up streamers! lol. Visiting from Skip to my Lou. What a cute party. Love all the monograms and using the vanity table. What a great idea! Thanks for sharing. How gorgeous. Love the color, love the work you put into your cooking and decorating. Lovely. The pink and purple birthday party is truly adorable. Those cupcakes really look pretty and very tasty. Gratitude for sharing these pictures! We are also having a family trip to LA. During this trip we will be celebrating our 1st anniversary at some popular Los Angeles venues. Quite eager for the day.